Over the course of her thirty-five+ year career, Mary Beth Jenkins has worked every facet of the commercial real estate industry. 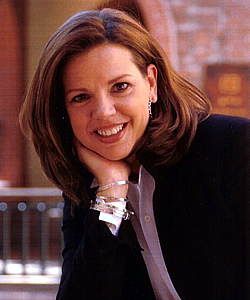 As President and founder of The Laramie Company, Mary Beth is known for her ability to balance bold vision with prudent execution, bringing her clients world-class results that are built to last. From strategic retail consulting for municipalities to planning and repositioning retail projects for developers, which includes retail tenant mix plans and leasing services, Mary Beth has brought her diverse talents and extensive network of contacts to projects across the United States. Her broad experience base gives her a unique insight into the world of commercial real estate. Her firsthand knowledge of the differing needs of cities, tenants, developers, and constituencies informs her ability to craft solutions that meet the needs of all involved parties. Mary Beth has consulted with numerous cities and developers on new and existing retail projects. City clients have included: Westminster, Glendale, Lone Tree, Aurora and many others. Developer clients have included: Arnold Schwarzenegger/Grand American, General Growth Partners, Boston Properties Group, Western Development Group, and Portman Properties. Known in the real estate industry as the “Mall Doctor” for her work redeveloping regional retail projects, like The Prudential Center in Boston and Peachtree Center in Atlanta. Additionally, Jenkins has taken the lead in leasing and consulting for innovative, ground-up developments like the Glendale180 flagship entertainment/retail project, The Orchard Town Center, The Shops at North Creek, and the Westminster Promenade. Mary Beth is currently using these time-tested skills for the Colorado Rockies and their recently announced West Lot Development and Downtown Westminster, Colorado. Additionally, Mary Beth has provided tenant representation services to some of the top retailers in the nation, including AMC Theaters, Fleming’s Steakhouse, and Loro Piano. A native New Yorker, Mary Beth embraces the spirit of the West. She is the owner and managing partner for The Laramie Cattle Company, a ranch dedicated to the production of high quality, all-natural, humanely-treated, and sustainably raised beef. The Laramie Cattle Company is located on the historic Rooney Ranch and is run in partnership with the Rooney family, who have worked this land continuously since 1860. Through this venture, Mary Beth lives the values that drive her career; she uses today’s cutting-edge practices to optimize and advance the present while preserving the finest aspects of the past.